Life of J. S. M. Ward. John Sebastian Marlowe Ward was born on 22nd December 1885 in what is now known as Belize City, British Honduras and died on July 2nd, 1949 near Limassol Cyprus. His father, the Reverend Herbert M. Ward was an Anglican priest serving the English community in British Honduras, when his first son, John, was born, but was recalled to England late in 1888, after which he took up a new post as curate of St Mary’s Church, London. John and his younger brother Reginald, grew up in London where the boys attended the Merchant Taylor’s School. The brothers were close and within the family John was always known as "Jack" and Reginald as "Rex". In this article, however, we will continue to call John Ward, "John", the name by which he was known to the world. John had extremely poor eyesight and wore thick glasses from a very young age, but he was bright and went on to Trinity College Cambridge. There at the age of nineteen, he married his second cousin Caroline Lanchester who was several years older than he and by whom he had a daughter, Blanche. He graduated with honours from Cambridge in 1908, majoring in History, and his first book, a short history of "Brasses" was published at about the same time. He commenced work as a teacher and also began to write about History and Freemasonry, in which he had always been interested. Just one of the ancient societies that Ward studied. Over the next twenty years he was to produce a large number of books on the history and spiritual meanings of Freemasonry. He also wrote for various journals and became a contributor to the Encyclopaedia Britannica on several subjects, and remained listed as such till long after his death. His Masonic books discuss not only the Western forms of Freemasonry, but various other similar secret societies both past and present in different parts of the world. Most of these books are still in print and many are still regarded as authoritative by modern Freemasons almost a century after they were first written. There are literally hundreds of references to J.S.M. Ward and his Masonic books on the internet. John Ward’s career as a Freemason was an illustrious one, but it was merely a passing phase in the journey of his life. He had always been interested in many other subjects, particularly history, religion and science, but a completely new dimension was added to his researches early in 1914. On 5th January 1914 his uncle and grand father-in-law, Herbert J. Lanchester died unexpectedly and a week later John had a dream that was to introduce him to the then "way-out" world of spiritualism. He recorded these early psychic experiences in his first psychic book, Gone West, which was published a few years later. In it he describes how he met his uncle in the Realms Beyond, and then for more than six months made regular contact with him on the Spirit Plane. When his younger brother Rex, a lieutenant in the York and Lancaster Regiment, was killed in Flanders on Good Friday, 1916, John Ward deliberately set out to contact him in the Afterlife. The success of his efforts is described in a second Psychic book entitled a Subaltern in Spirit Land. With the outbreak of the First World War, Ward, unable to enlist because of his eyesight was sent out to Rangoon, Burma as the headmaster of the Diocesan Boys School – an Anglican secondary school that provided free education for the Eurasian boys of Burma. At that time there were many such schools in Burma and John Ward, by virtue of his position wrote to Lord Kitchener, the head of the British Army, offering to raise a brigade of troops from among the Eurasian boys in those schools. Kitchener’s reply was abrupt and abrasive. "England has no need of half-castes" was the gist of it and so Ward’s grandiose plan was summarily dismissed, late in 1914. A year later, with England desperate for soldiers, the army asked Ward to revive it, but not surprisingly the resentment caused by the first rejection meant that most of the Burmese "half-castes" were no longer willing to fight for Britain. Ward persuaded a number of boys from his own school to enlist, but they were far fewer than the full Brigade he had originally proposed to raise. Whilst in the Far East, Ward spent time in Ceylon and India as well as Burma. He took this opportunity to continue his researches into the spiritual and, perhaps most importantly, received ordination as a Brahmin High Priest, in the Madura Temple in southern India. This, together with his studies of the Chinese Hung Society, led him to take a further interest in spiritualism and theosophy when he returned to England. This happened early in 1916 for health reasons. Ward’s health had never been good and since moving to Burma, his digestion had suffered significantly. It was only later that he discovered that this was because his servant had been trying to kill him by mixing ground glass with his food. 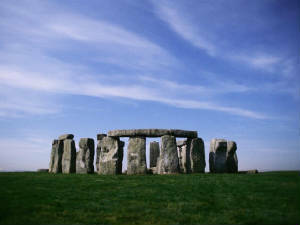 Although he recovered in England, his digestion caused him problems for the rest of his life. Soon after his return to England, his brother Rex (Reginald L. Ward) was killed in an artilery attack in Flanders, and John Ward spent some time assisting him to become established in his new life beyond the grave. Shortly afterwards, their mother, Alice Ward (nee Carver) died, and the two boys were also able to help her become established on the Astral Plane. In 1918, John Ward obtained employment with the Federation of British Industry and remained with them until 1930, by which time he had become head of the Intelligence Department - that is to say that he was responsible for assessing business opportunities around the world and making recommendations to British Investors. As the Great Depression, was then wracking the land, no one could understand why he resigned in 1930, but to him there was a very good reason. In 1918 he had commenced to take an interest in the Theosophical movement, but continued his links with various Masonic groups and writing his books. After publishing his second Spiritualist work he also continued to develop his experience in this field, but through his father, who was still the Vicar of St Mary’s, John retained his link with Christianity and remained a member of the Anglican Church until it rejected him in 1934. In the experiences described in his first two Psychic books, Ward had explored the two Planes of Existence closest to the Physical – generally known as the Astral Plane and the Spirit Plane. He had done this with the help of a number of different inhabitants of each Plane but found that whilst each of these Planes contains many sub-divisions, beyond them there exist many still higher Planes of Being. These correspond to what Christians call the Realms of Saints and Angels, but Ward realised that he as a mere mortal could not hope to reach them. This perhaps more than anything else contributed to the upgrading of his spiritual seeking, which began in the first part of the 1920’s. It was during this period of his life that his wife suffered from a debilitating mental disease which eventually killed her in 1926. It was also during this period that he first met his second wife Jessie Page, with whom he was later to assail the heights of mysticism. For the Wards, the first such experience came in 1927, when they both dreamt that they were summoned into the presence of a great Angel, told that Christ was about to begin His Descent through the Celestial Planes to the Earth and asked to help in the Preparation for His Coming. This great Angel, of the order of the Thrones, was to become their constant Guide and helper in the years ahead. Needless to say they both agreed to dedicate the remainder of their lives to this task. On waking their resolve was further strengthened by the discovery that not only did both remember the same experience, but also that each had recalled details that the other had forgotten, and yet when reminded thereof, the second could not only recall it, but could further extend the narrative. They married soon after and still in 1927, John gave a series of lectures, in which he explained his discoveries and his new calling. From those who came to listen he gained a few followers and the whole group pooled its resources. They purchased a large house in Barnet on the outskirts of London and then built a church on the property, which was also adorned with many antiques and works of art. In 1930, John Ward resigned from his job at the Federation of British Industry and with the help of his community established the country’s first Folk Park. With some of the carriages that formed part of the Folk Park. John continued to write books, but now they were linked with psychic and spiritual subjects, rather than with Masonic and historical matters. Some of them such as The Psychic Powers of Christ and Life’s Problems were published at this period, whilst his later works were circulated mainly among his own supporters. Of these, the most important were the account of his visions (The Apocalypses of Brother Seraphion) and an exposition of the Book of Genesis entitled "Genesis the Accused". The latter was unfinished at the time of his death and has only recently been completed by Bishop Cuffe. It is now available as part of a two volume set entitled "The Lost Wisdom of Melchizedek". In the 1930's both the Church and the Folk Park became major tourist attractions, but John Ward’s principal interest was always his Church. Unfortunately he was not a priest at this stage and the local Anglican authorities refused to ordain him. At first they supplied his community with a chaplain, but because John refused to stop teaching about the Return of Christ this support was withdrawn in November 1934. This came as no surprise to John Ward, who in February, March and April that year had had a number of significant mystical visions that seemed to predict the future. Such visions are commonly called Apocalypses and in John’s case they seemed to forecast many significant events, not all of which have yet come to pass. Those that have, included an indication that the Anglican Church would expel his group; that Europe would be convulsed by war; that the British Empire was to be destroyed, that southern Africa would throw off White rule and that Islamic Fundamentalism would spread throughout the Middle East and North Africa. It also predicted destructive attacks on many key Western cities in various ways, including the poisoning of the water supply and in the case of New York, a devastating biological assault. After his expulsion from the Anglican Church, John Ward obtained consecration as a bishop from John Churchill Sibley, on October 6th 1935. Sibley was at that time the Archbishop-Metropolitan of the Orthodox Catholic Church of the British Empire. In December 1938 he died and Ward succeeded him, but even then the clouds of war that the visions had predicted, were gathering over Europe. However, because of those visions Ward knew that England would not be conquered and he also adduced that if only he could persuade his fellow countrymen to accept his message about the Coming of Christ, its Empire, too, might yet be saved. During the war, the Barnet community was beyond the main reach of the German bombing campaign, and played a part in the war effort by giving shelter to children evacuated from London. Several of these later sought to join the community, and one of them, triggered a court case against Ward when her parents decided to reverse their original written consent for her to join the community. Legal opinion supported Ward, especially as the girl had been sexually abused by her father, but the Trial Judge, promised that a "correct" decision would see him become Chief Justice, turned legal precedent on its head and ordered her to leave the community, though because of the abuse he did not dare to order her to be returned to her parents’ custody. Thus it came about that England rejected Ward and his message and as it was the only way to keep his community intact, he decided to lead it from England before the prophecy about the destruction of its Empire began to be fulfilled. Arrangements took rather more than a year, during which Ward received at least one very significant boon. He was able to bring the Orthodox Catholic Church of the British Empire into communion with a number of other small independent churches with Valid Orders, something he felt was a key step towards Christian Unity. This included a process of mutual re-consecrations by the bishops involved, so that each came to hold many different lines of Succession an important measure of spiritual authority in both Orthodox and Catholic Churches. His own assistant C.M. Chamberlain, who later succeeded him as Archbishop, was also raised to the Episcopate at this period, and then the community left England on 13th July 1946. They settled in Cyprus, where their simple farming efforts to become self-supporting, together with the royalties from Ward’s books enabled them to survive until Ward’s death in 1949. After this, the royalties which should have been paid to his widow, Jessie Ward, were withheld and the community suffered real hardship and near-starvation, before eventually fleeing to Australia. As John Ward had foreseen, the Disintegration of the British Empire followed swiftly after Britain’s rejection of the Work that he had founded. He himself continued to write, despite poor health and worsening eyesight. Shortly before his death, he realised his last great ambition and sired an illegitimate son through one of the members of his community. John Reginald Cuffe was born three months before his father’s death and for that three months became his pride and joy. 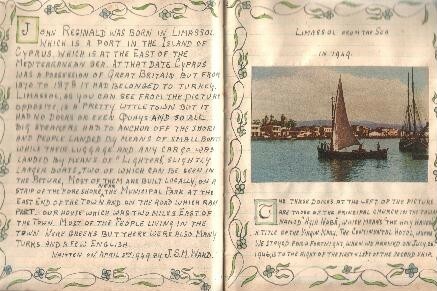 Ward’s last book, handwritten in an exercise book, was the "Book of John Reginald", in which he recorded his time with baby John and discussed places of interest in Cyprus. That book is still preserved by Bishop Cuffe as a family heirloom. Ward died peacefully in his sleep on July 2nd 1949. Feeling a little unwell, he had taken a nap after lunch and could not be awakened at about 2. 30 p.m. The closest doctor, Dr. Frangos, summoned from Limassol, determined that he had died of a heart attack brought on by high blood pressure. Jessie Ward was later told that death and been caused by the rupture of a large blood vessel in the head (a stroke). John Sebastian Marlowe Ward was buried the next day in the local cemetery of St Nicholas, which was chosen over the English Army Depot in Polemedia. Although his death was a terrible shock to those who loved him, Ward had passed as a great mystic should – at peace with God and man, and ready to assume his proper place in those higher realms where for many years he had been a frequent visitor. Since that time he has continued to watch over and guide his successors, and through his writings even those who have no real interest in him as a person, have been able to draw closer to the Goal of all our striving. This website is just one more stage in bringing his message to the world. May he himself continue to watch over it and all who read it.